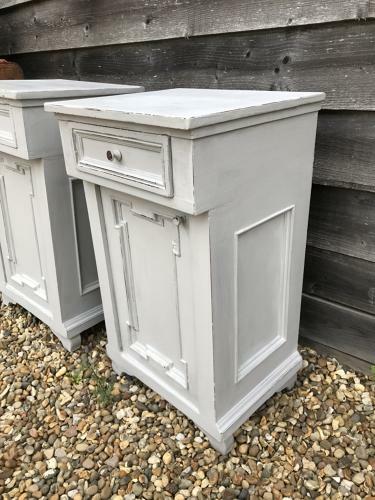 Scarce Matching Pair of Bedside Cupboards with panelled fronts and sides. Front drawer and inner shelf to each. So hard to find in matching pairs. circa 1900.